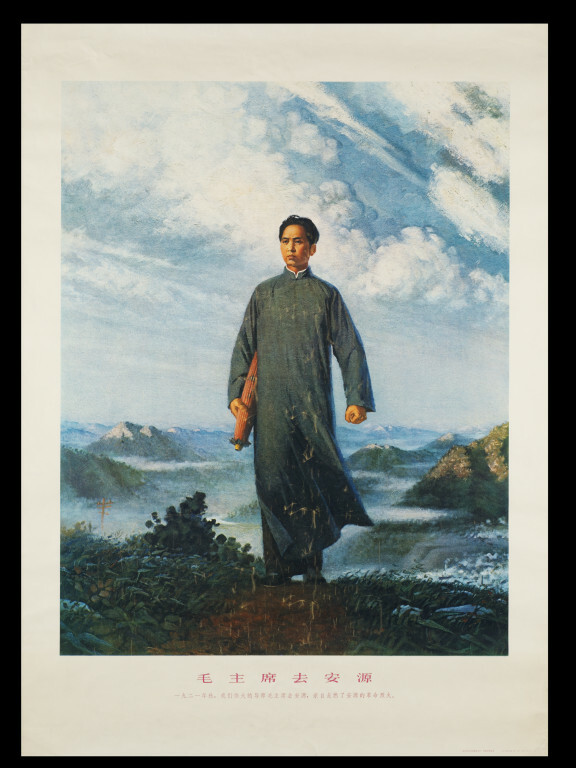 This poster reproduces the painting 'Chairman Mao goes to Anyuan', one of the most important art works of the Cultural Revolution period (1966-76). The painting was created by Liu Chunhua, a Red Guard studying at the Central Academy of Industrial Arts. 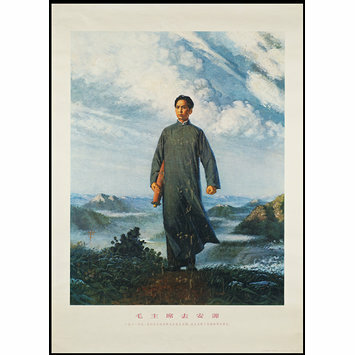 Mao Zedong is portrayed in a long plain gown, advancing resolute to the forefront in a mountainous landscape. Liu Chunhua's painting rapidly became a model for subsequent iconographical representations of Mao Zedong, and millions of copies were printed and distributed to be carried in demonstrations and displayed in meetings halls. Reproductions of the painting also appear in other propaganda posters of the time. The subtitle of this example, printed in Beijing in 1968, reads: 'In the spring of 1921, our great Chairman went to Anyuan, and ignited the Anyuan revolution'. 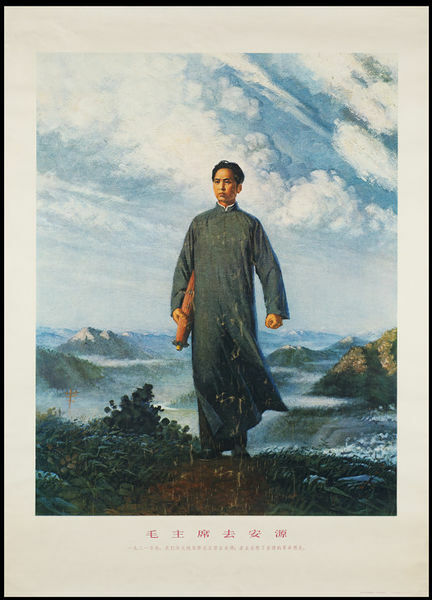 Poster depicting a young Mao Zedong walking in a mountainous landscape; the title of the poster is at the bottom.